Published on Tuesday, September 27, 2016. This article appears in the October/November 2016 issue of American Craft Magazine. Morgan and her co-founder’s earliest idea was more modest – but it quickly became clear that Houston would rally behind a venue for museum-quality craft. At the time, her daughter, a new graduate of Kansas City Art Institute, was looking for studio space in Houston. Her search gave Morgan and her friend Ann Shaw Lancaster an idea – one that grew more ambitious by the moment: What if they could rally donors to buy and renovate a building? What if they offered studio space for artists working not in a particular medium, but in an array of them? What if that cross-pollinating setup had an exhibition space, too, and a shop? And most presciently: What if it were a place where the public could come see artists at work, come experience the magic of making? “We talked to artists, gallery owners, collectors – everybody seemed to think that this was a really great idea,” Morgan says. 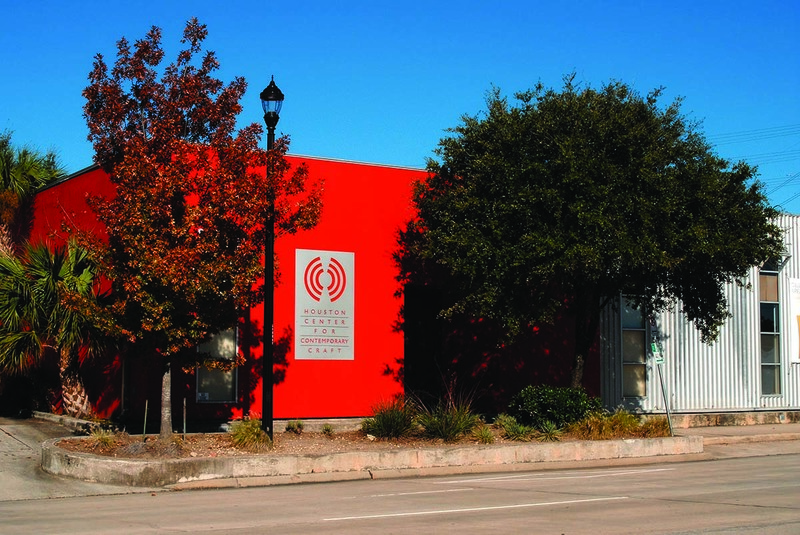 Three years later, in September 2001, the co-founders opened the doors of the Houston Center for Contemporary Craft. The center’s – and thus Morgan’s – impact on local, regional, and national contemporary craft cannot be underestimated. Morgan and Lancaster set the bar high from the start; for its opening show, HCCC brought in “Defining Craft 1” organized by the American Craft Museum (now the Museum of Arts and Design). Today, with its robust residency program, educational opportunities, and innovative exhibitions, the small-but-mighty HCCC is among an elite handful of organizations in the United States exclusively devoted to craft – playing an essential role in cultivating the next generation of makers and helping ensure that material culture continues to flourish. Tireless advocate: Morgan has given her time to nonprofit, civic, and political organizations for more than 50 years. She currently serves on the board of the Houston Grand Opera and the Kinder Institute for Constitu­tional Democ­racy at the University of Missouri, and is a life trustee of the Museum of Fine Arts, Houston. She is a past board member of the Children’s Museum of Houston, the American Craft Council, and Girls Inc., among other organizations. Metalsmith and recent resident Jera Rose Petal Lodge works in her HCCC studio. The center sponsors artists in a variety of mediums, for a wide exchange of ideas. Educational programs are a priority for HCCC. 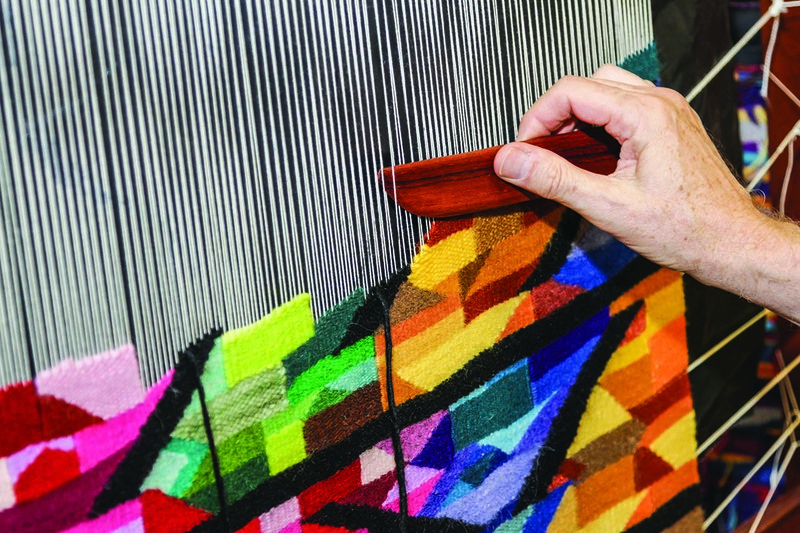 This handweaving demonstration took place during last year’s Museum Experience Day, a free event hosted by Houston’s arts organizations. Today, the HCCC’s bright red façade is a landmark in the city and a national draw. 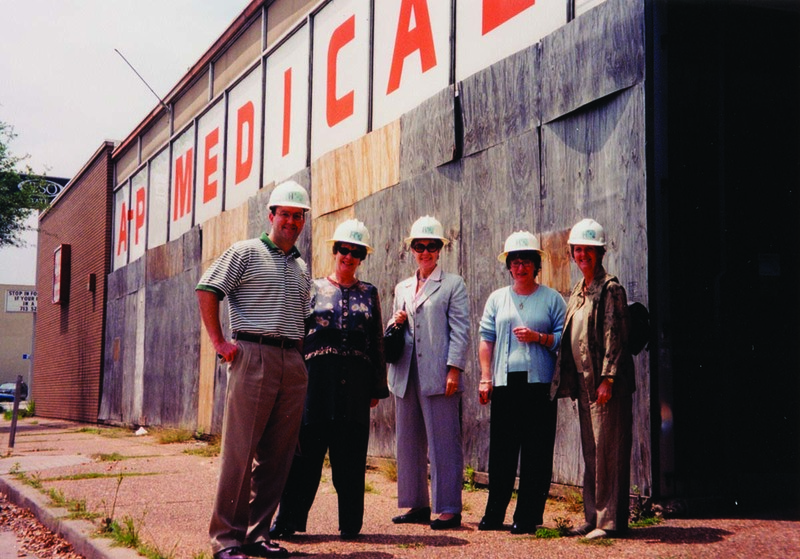 Co-founders Ann Shaw Lancaster and Sara Morgan (far right) needed real vision to take a rundown medical supply warehouse and imagine what it could become.